Put this easy pizza recipe on your table in a jiffy. Made with boxed potatoes, canned tomatoes, grated mozzarella cheese and sliced pepperoni. Spray an oven-proof baking dish with non-stick cooking spray. Empty dried potatoes into baking dish. Sprinkle contents of flavor package evenly over the potatoes. Drain tomatoes and spread over potatoes. Add water. 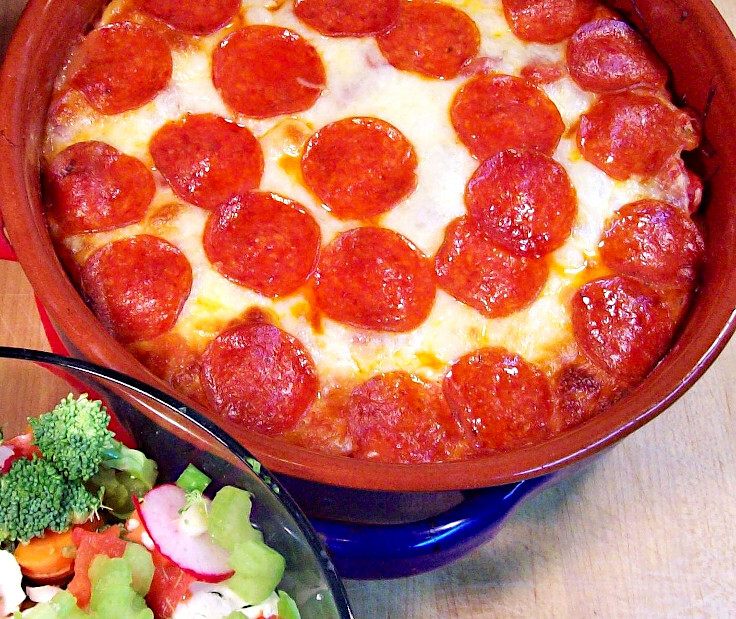 Spread mozzarella cheese over the casserole and top with pepperoni slices. Bake in hot oven for 20 minutes or until cheese is brown and potatoes are tender.